Here’s a finished board, with the LEDs that are used as senses attached to wires made more rigid with heat shrink (this hides the resistors as well). The peculiar colour cast of the image is due to a coloured light being on in the background. And here’s a plot of the light levels detected by each sense as I shone a light at them and shaded them with my hands. I’d love to make a group of these and hang them up to experience their environment. I think I’ll port the code to Processing.js so they can run online as well. That’s a Bluetooth wireless small sensorium. The code to support this is a bit hacky as rxtx doesn’t seem to want to play with Bluetooth serial ports, but it works. Next I need to wired up the LEDs directly. Then a WiFi Arduino that could work with Thingspeak directly. And multiple sensoria could interact. 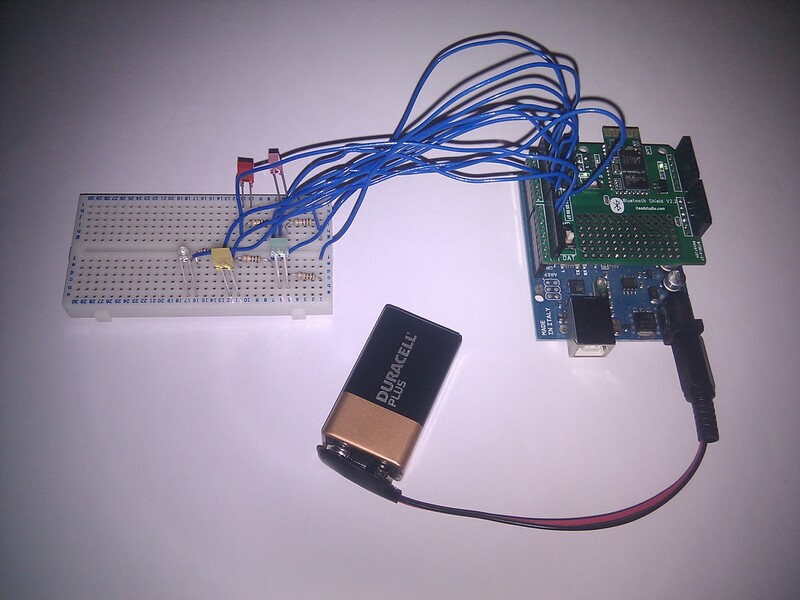 This is the test setup for “Small Sensoria”. 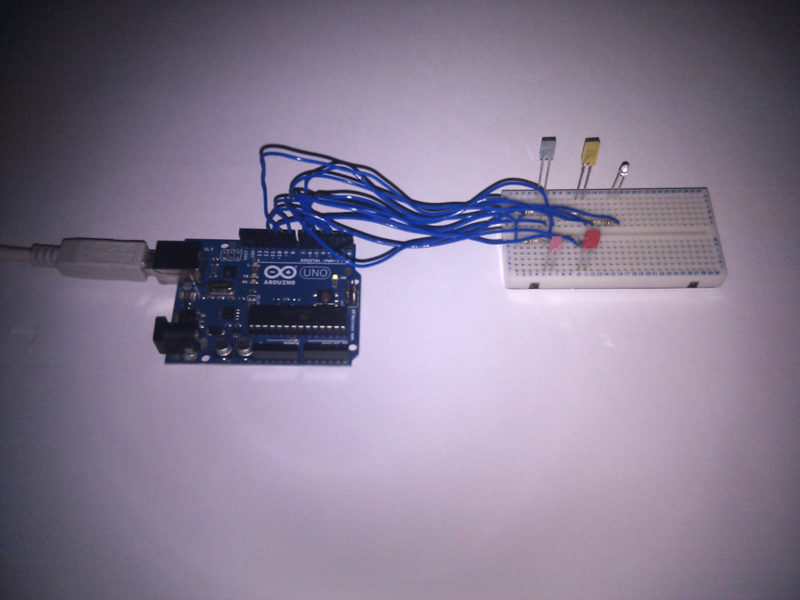 It is several LEDs being (mis-used) as light sensors connected to an Arduino. The USB cable connects them to a computer running a Processing sketch that renders the light intensities. Next I am going to make the Arduino unit more independent by adding a Bluetooth shield, battery power, and wiring the LEDs up to it. Since last April I’ve been posting collections of links to Netbehaviour . These are links that I’ve found during my web browsing that are on the subject of art, technology and society. I try to arrange them to create associations or narratives wherever possible. I’ve written a script to convert a calendar year’s worth of links from emails to an HTML page for browsing. There are a couple of glitches in the file as a result of the ad-hoc nature of the original emails. Finding them is left as an exercise for the reader.